Natural and organic, this intensively nourishing lip balm is bursting with natural oils and plant extracts, beeswax, pansy, chamomile and calendula to soothe and soften lips for a smooth finish. Perfect for cold weather, the prevent the lips from drying out, even when faced with weather changes or dry air, perfect for long flights, holidays or just for day to day. This lip balm will relieve dry chapped lips, leaving them soft and kissable. Weleda has high environmental and ethical standards, is economically thriving, kind at heart and committed to the well-being of our planet, and our people. Since the company’s founding in 1921, they have been acting socially, environmentally and economically responsibly in all its business operations, from the procurement of raw materials to the manufacture of cosmetic and pharmaceutical products, packaging and distribution. Natrue Certified, Organic, Sustainable, Vegetarian, No animal testing, Triclosan, Phthalate and Paraben Free. The Weleda Skin Food Lip Balm - 8ml product ethics are indicated below. To learn more about these product ethics and to see related products, follow the links below. 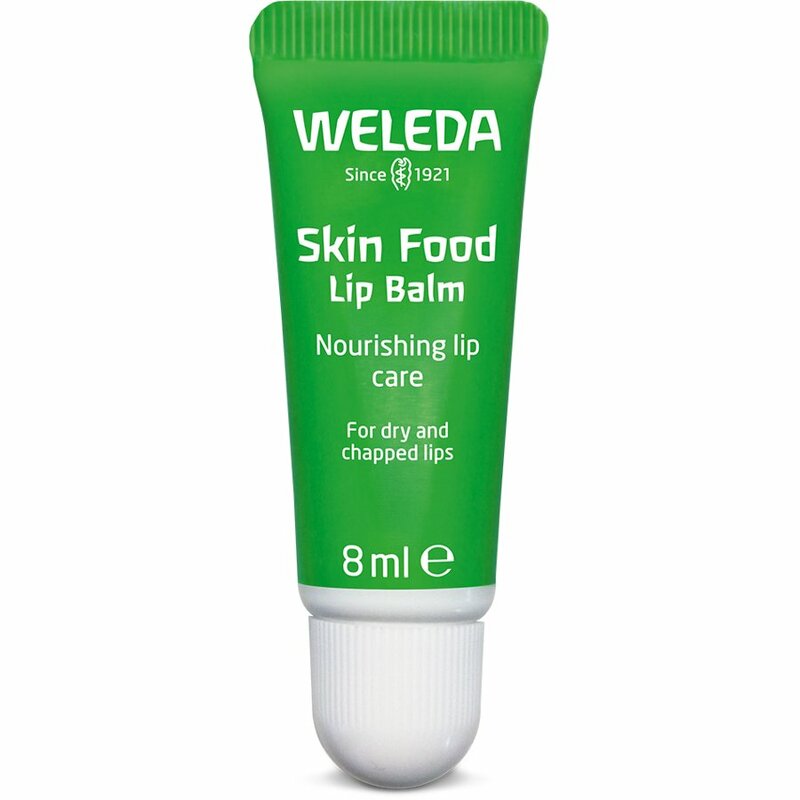 There are currently no questions to display about Weleda Skin Food Lip Balm - 8ml.